Is effective social media use the new PR agency? I recently found myself in a dialogue with a friend who had just signed a contract with a PR agency to pitch their product. So far, so good, until I saw the $5000 price tag. And, for what? It seems to me that if I was on the target end of a PR blitz, I would be overwhelmed with the same old, same old. With effective social media use, it seems to be that one can very easily and respectfully nurture an online connection with key players in the local media game. When I say effective, I mean that one respectfully nurtures the relationship. You can not come off seeking to nurture this relationship only so you can constantly spend your capital with them by bombarding them with news leads and press releases. It’s called relationship for a reason and social networking is… well… a community, not a billboard. Constantly spending information capital when one has not properly earned it will create digital debt. And, like financial debt, this is one hole I wouldn’t wish on anybody. But too often, like how we spend our money, we spend our digital debt… unwisely. 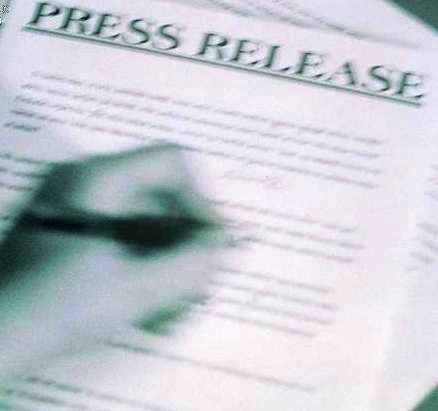 Coupled with nurturing key media relationships via Twitter and other platforms, our press releases need to be completely rewritten and quite frankly, strategically placed on our websites for public viewing. Many do this, but sadly… many more, do not. A year ago, I had an opportunity to to lead a local PR campaign for an artist that was about to play several big shows during the same week in our city of Portland. With a creative pen in hand and just a few hundred followers on Twitter, we set out to pose one question… who was this guy? With posting the newly written press release, (which was nothing more than a campaign) on the artists website, we set out to drive key area “influencers” to the press release page on the artist site. Why not drive people to both the press release and the website in one fell swoop? But, can this new media be effective in answering who this artist was, create awareness for the upcoming shows, and drive people to their website? Yes, Yes, and Yes. With just a few hundred followers on Twitter, the first 4 tweets we sent out with a link to the press release page resulted in 100 immediate hits to the website. In a matter of days, we saw the amount of Twitter followers double. During the course of the following few weeks leading up to the string of concerts, we saw something else take place… we saw our tweet strategy had “pass along” value. This meant that on the first day of the first concert in the series, people had picked up the message and it found traction within the local twitterverse. In a week that had included the death of Michael Jackson and the ongoing issues with the local mayor, our artist was #1 in trending topics for the city that day. By the way, through our efforts, we were also able to secure a live performance on a local talk show the week before the concerts began. In this, if people didn’t know who he was when we started, I think they know who he is now. So, be creative with your press releases. Develop and consistently engage with local media via Twitter or Facebook. And, when the time is right, spend your capital. But, do it in a way that is conversational and relevant to the community. That may not make sense now, but, once you are in the midst of it… it will all make sense. The old days are gone where you get the PR template out and send them to anybody and everybody. Be careful of this, distribution channels mean nothing if there is no audience. Sure they may send it to a thousand people, (perceived audience) but, so are the other people sending out the other one thousand press releases to those same people. It’s all public information and therefore, easy. Is there any strategy in this that is a real benefit to you? We all have way too much invested in our ideas to entrust them to a blindfolded “let’s see what sticks” method. However, If you do hire someone, be smart, ask good questions, and do your homework. But, if you use social media effectively, I am confident you will find better results. The traditional strategy is merely a billboard in the midst of a thousand others. The new strategy is a community built on trust, respect, and relevant dialogue. Spend your time there and you may just find… well, see for yourself. you are a seemingly endless source of value. i have a lot of what i call “duh” moments when i read your posts. these are things we intuitively know but over-think our way out of i think. thank you for the reminder!